NATO fighter jets intercepted a Russian spy plane over the Baltic Sea after it breached Estonian airspace, the alliance said Wednesday in the latest of such incidents amid tensions with Moscow over Ukraine. The Ilyushin IL-20 “intelligence collection aircraft”, which took off from the Russian Baltic coast enclave of Kaliningrad on Tuesday, was first intercepted by Danish F-16 jets when it approached Denmark, NATO said in a statement. It then flew north towards non-NATO member Sweden which also sent jets to intercept the plane. Nearly four hours later the plane flew towards NATO member Estonia and was detected in Estonian airspace “for a period of less than one minute, which represented an incursion of about 600 metres (yards) into NATO airspace,” it said. Portuguese F-16s spotted the Russian propeller plane and escorted it out of NATO airspace, the alliance said. The Ukraine crisis has produced the worst east-west tension since the end of the Cold War. NATO has stepped up its Baltic air patrols due to what it says is a surge in intercepts of Russian warplanes near Polish and Baltic airspace since Moscow’s annexation of Crimea from Ukraine in March. The Swedish Navy meanwhile has been searching for a suspected Russian submarine off the coast of Stockholm for nearly a week, although it said Wednesday it was pulling back some of its ships. An Algerian air force plane crashed Monday in the south of the country during a training exercise, killing the two soldiers on board, the defence ministry said. Russian fighter jets have been acting more aggressively around Swedish reconnaissance aircrafts lately, according to Anders Grenstad, deputy director of operations in the Swedish Armed Forces. On Friday a photo was released by the authority for signals intelligence, FRA, of a Russian Su-27 flying only a few meters away from a Swedish surveillance aircraft. According to Grenstad this more aggressive behavior is a new development. “You ought to keep a distance of between fifty and one hundred and fifty metres if you want to show that you are there and assert your country’s interests. But this is much more intrusive and, of course, it could go wrong if the pilot is not sufficiently skilled in the maneuvering that he is forced to do here,” Grenstad told Swedish Radio News. It is in particular in the international air space that the Russian planes have become more aggressive, Swedish Radio reports. The photo released by FRA show a plane only ten metres away from the Swedish aircraft, and the pilot makes sure he turns the plane in a way that the six air-to-air missiles under the plane can be seen. But there are also examples of when Russian planes have flown into Swedish air space. In September two Russian planes flew over the island of Öland off the Swedish east coast. The then Foreign minister Carl Bildt said that was the most serious violation of Swedish air space that he had experience as a foreign minister. In the interview with Swedish Radio News, deputy director Anders Grenstad does not want to answer directly the question if the Swedish security alert has been raised because of this, but he says the military preparedness is constantly adjusted to the existing situation. “Things are looking different out there. So the people who work in that environment are mentally prepared for a situation where there is a more intrusive courting or something,” he said. But shall we be concerned that Russia would suddenly attack Sweden? asks Swedish Radio News. “No, absolutely not,” replied Grenstad. The ministry said the radar could be providing tracking information to another battery deployed in the region, which was at a firing distance from the plane’s flight path. The Malaysian Airlines flight MH17 carrying almost 300 people on board crashed on Thursday as it was flying over Ukraine’s Donetsk Region. The plane was apparently shot down by a surface-to-air missile, although both Kiev and the local militias fighting against it deny responsibility. A flurry of condemnations and calls for a swift investigation followed the disaster. Two British Royal Air Force Typhoon fighter jets were scrambled after two Russian military aircraft were detected approaching northern Scotland on Wednesday, the Ministry of Defence said. The jets from RAF Leuchars in Scotland were sent to “determine the identity of unknown aircraft”, which turned away before reaching British airspace. “The aircraft were subsequently identified as Russian military aircraft,” said a ministry spokesman. RAF jets were deployed in similar circumstances eight times last year, but no Russian military flights ever entered UK airspace without authorisation, the spokesman said. 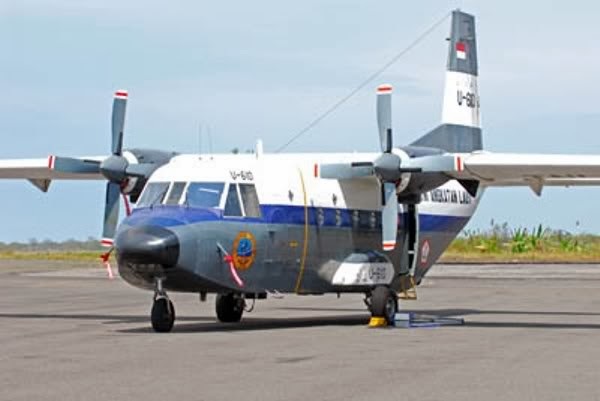 MANILA, Philippines — An Indonesian aircraft manufacturer was the only firm to bid for a Department of Defense contract to supply the Philippine Air Force with two medium-lift transport planes worth more than P800 million.